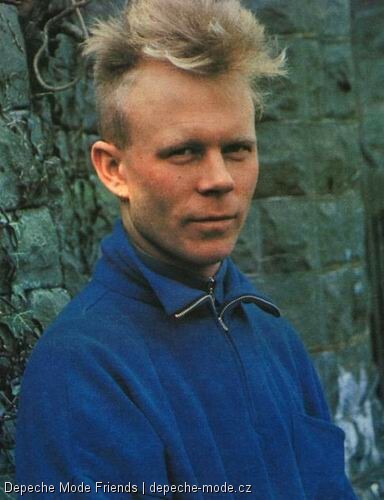 You are currently browsing the category archive for the ‘Vince Clarke’ category. No one individual had a more profound effect on 80’s pop than Vince. In terms of synth pop, he is Zeus, Apollo and Dionysus rolled into one. A large portion of my adolescent soundtrack – and those of other high-energy, low self-esteem members of the northeastern elite – was created as a result of his genius. My summer camp peer group introduced me to all three groups in 1987. Significantly, that was the first summer I spent at ECCC (ask your friends who grew up in Connecticut, they’ll know) during which I did not feel as if I were being punished by God – or the lion’s share of my fellow campers – for being black, precocious and unathletic. During rest hour, instead of lying on my bunk watching other girls whisper secrets to each other, I sat with some other oddballs, listening to “Bad Connection” on cassette. When I was browbeaten into going on an overnight canoe trip, “Black Celebration” was the accompaniment for my ever-increasing antiauthoritarian hostility. And when “Victim of Love” was played at our Friday-night dances, I stopped caring whether the boy I liked was paying attention to the way my shirt was tucked into my jeans. I was no longer a mere misfit…I was a member of the Church of Misfit.